insurance, renters insurance, and commercial auto insurance. That’s loyalty from you and your policyholders. You’re happy when your policyholders are taken care of with good rates and even better claims experiences. We understand that connection, and are constantly developing new technology systems and client services to improve the transactional processes of insurance. We want to help you earn more money. 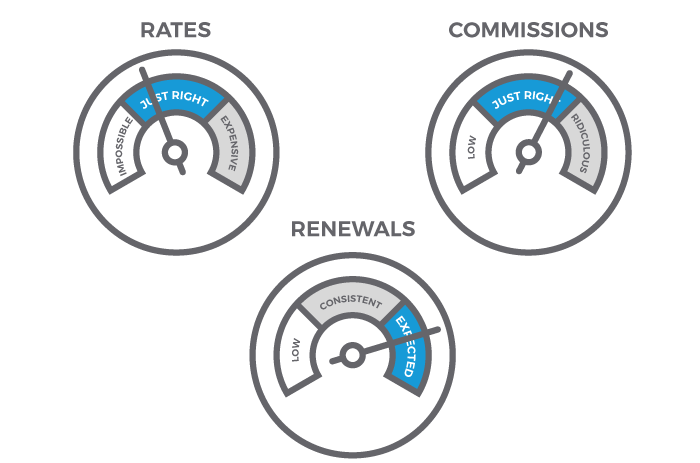 Our commissions are structured to reward you now for the sale, but also in the future. The better we’re able to serve your clients, the more likely they will want to renew their insurance with Bridger and give you the opportunity build a strong book of business. In order to review your qualifications, please download and complete the following documents online, then email to our office at brokerrelations@bridgerins.com with additional materials requested.